Congratulations to these top-tier members of the business community for their long-standing contributions to our islands. In the current economic climate, companies on Guam and in the Northern Mariana Islands are proud to show their success and longevity in serving the people of our islands. Guam Business Magazine presents a handful of outstanding companies that are doing business in Micronesia celebrating important milestones in 2018. Through inspiration and dedication, each of them has managed to stay on course in a region that has seen more than its fair share of challenges for decades. These leaders in their fields have ensured quality and reliability to consumers and businesses alike and have given back to the communities in which they do business, setting an example for others to follow. Guam Business is privileged to honor these companies’ milestones and brings readers a special Corporate Anniversaries feature with a closer look at their endeavors. 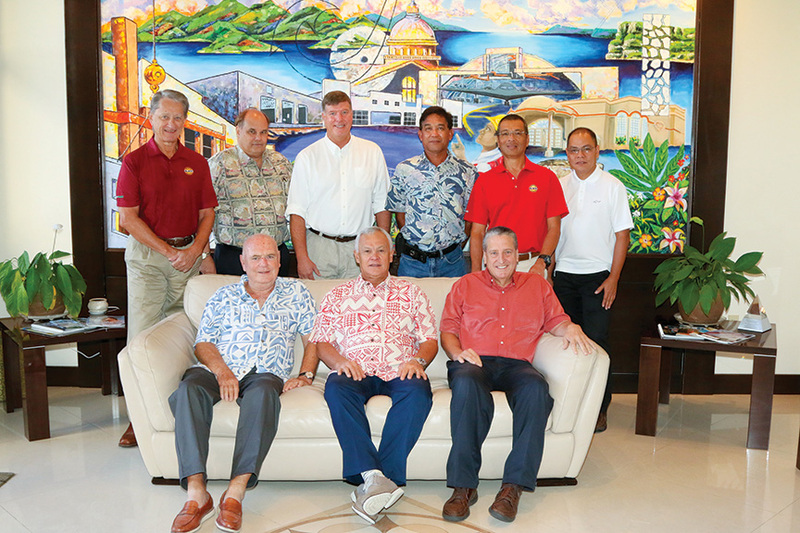 Executives of Black Construction Corp. at a gathering at the Guam office, include (from left, standing) Bruce Johnson, senior project manager; Mark J. Mamczarz, vice president of finance, secretary and treasurer; Dean E. Bates, senior project manager; Lito Gutierrez, senior project manager; Roel S. Macaraeg, senior project engineer; Manuel A. Concepcion, senior quality control manager; and (from left, seated) John M. McSweeney, vice president of estimating and business development; Leonard K. Kaae Sr., senior vice president and general manager; and Donald J. McCann, vice president of operations. Photo courtesy of Black Construction Corp. Established in June of 1958, Black Construction Corp. is celebrating 60 years with a continued presence on Guam and in the region, as well as 60 years of a continued presence in the Philippines under the company’s affiliate E.E. Black Ltd. (Philippines). E.E. Black Ltd., parent company of Black, was established in 1926 in Honolulu. In 1958, E.E. Black embarked on a new opportunity venturing to Guam as part of a construction consortium to build 1,000 K-part houses at Andersen Air Force Base. That initial project led to the company’s continual 60-year presence in the Marianas. “We have a proud and decorated history having constructed many landmark projects on Guam and throughout the region,” says Leonard K. Kaae Sr., senior vice president and general manager of Black Construction Corp., Black Micro Corp., E.E. Black Ltd. (Philippines) and Black Construction/Mace International Joint Venture, Diego Garcia, British Indian Ocean Territory. The founder of the company was a gentleman by the name of Everett Earl Black or E.E. Black, which the founding company was named after. The company has evolved with two other owners, with the current being Tutor Perini Corp., led by Chairman and CEO Ronald Tutor. Tutor Perini is ranked as the 13th largest contractor in the United States and the 5th largest Green Build Contractor. Black was acquired by Tutor Saliba Corp. in 1995, later merging with Perini Corp. in 2008 to become Tutor Perini Corp. Since acquisition, the Black Group of Companies have grown significantly — having the financial bonding and equipment resources available through its parent company for continued growth. Black Construction is headquartered in Guam, with subsidiaries in the Northern Mariana Islands, the Federated States of Micronesia and its affiliate in Manila. The Black Group of Companies currently employs 1,075 staff and craft personnel. This staff serves as integrated members of the community, with the company and personnel actively involved in the Guam Contractors’ Association, the Guam Trades Academy, the Society of American Military Engineers, the Community Assisted Policing Effort, the Federal Bureau of Investigation’s Citizens Academy, the Guam Chamber of Commerce and the USO Advisory Council. The company supports a variety of community organizations, to include the American Cancer Society; the Make-A-Wish Foundation, Guam Chapter; the American Heart Association; the Shriner’s Children’s Hospital Transportation Fund; Catholic Social Services; Sisters of Mercy of the Americas; the Employer Support of the Guard and Reserve; Guam Boy Scouts of America; the Armed Forces Committee; the Guam Army National Guard Readiness Group; the University of Guam Endowment Foundation; the Federated States of Micronesia College of Micronesia; and the Hui Aikane Golf Club. Led by four strong officers — Kaae; Mark J. Mamczarz, vice president of finance, secretary and treasurer; John M. McSweeney, vice president of estimating and business development; and Donald J. McCann, vice president of operations — Black’s 60th anniversary certainly marks a milestone for the company. 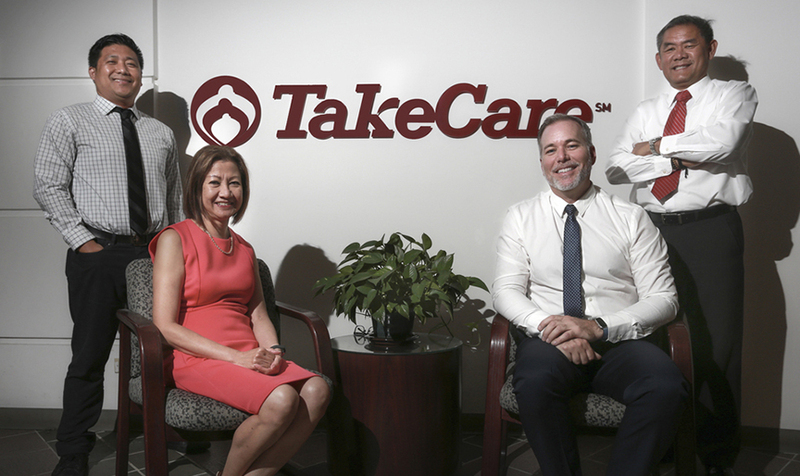 TakeCare executives include (from left) Arvin Lojo, health plan administrator; Alicia Iseke, health plan finance administrator; Jeffrey Larsen, health care delivery administrator; and Lucio Almira, controller, all with TakeCare Insurance Co. Inc.
Photo courtesy of TakeCare Insurance Co. Inc.
Just one year after TakeCare Insurance Co. Inc. was established, in 1973 one of Guam’s longest running primary care clinics, the FHP Health Center, came to service on island. The center has been Guam’s convenient, one-stop health care clinic under one trusted family brand ever since. Forty-five years later, the clinic continues to further TakeCare’s model of Our Island, Your Health Plan with its own unique touch — Our Island, Your Clinic. Guam had a Naval Hospital and a civilian hospital in 1972, when the Catholic Dioceses and the government requested assistance from the U.S. mainland’s Family Health Plan to serve the island families’ need for continuous care over the span of generations. After almost 15 years, Family Health Plan rebranded into FHP in 1986. By this time, it had grown to provide health insurance plans, medical facilities and on-island healthcare specialists that gave the people of Guam access to healthcare security and peace of mind. It was with this rebranding that FHP additionally expanded to the Northern Mariana Islands. FHP quickly expanded, obtaining 2,000 members and opening an FHP Medical Center on Saipan in 1988, an FHP dental care in Saipain in 1989 and a second FHP Medical Center in Dededo in 1991. By this time, less than 20 years later, enrollment had climbed to more than 23,000 members. But the company wasn’t ready to stop helping provide care in the region. In 1994, FHP added self-referral and primary care in both the Philippines and Honolulu. In 1995, the company opened an optometry clinic in Saipan and launched Topicare — home healthcare services for the whole community. Over the next five years, FHP created a new health brand, FHP ChoicePlus, to provide access to off-island providers and extended urgent care services to tourists from Japan. PacifiCare HealthSystems acquired FHP Asia Pacific through a $2.2 billion acquisition of FHP International Corp. and FHP Asia Pacific became PacifiCare Asia Pacific, soon adding new brokers networks such as UIU, Perez Brothers, Calvo’s, Melekau Insurance Agency and Guam National Insurance. New technology upgrades and HMO software conversion benefitted a record breaking 52,000 members by the turn of the century. From 2000 to 2005, the company formed PacifiCare Health Insurance Co. of Micronesia, PacifiCare Asia Pacific and PacifiCare Asia Pacific Insurance Brokers Inc. in order to locally incorporate, secure a Guam Economic Development Authority qualifying certificate and sell insurance products. This ability helped PacifiCare and partners launch the Guam Surgi-Center and expand Home Health to accept other insurance carriers and Medicare. In 2002, PacifiCare Vision Center launched, and in 2003 the corporate offices relocated to Baltej Pavilion in Tamuning. 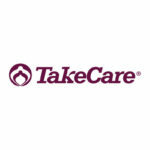 After the acquisition of PacifiCare Health Systems ion 2005, TakeCare Insurance Co. launched, restoring the Guam and Saipan medical clinics to their legacy brand, the FHP Health Center. 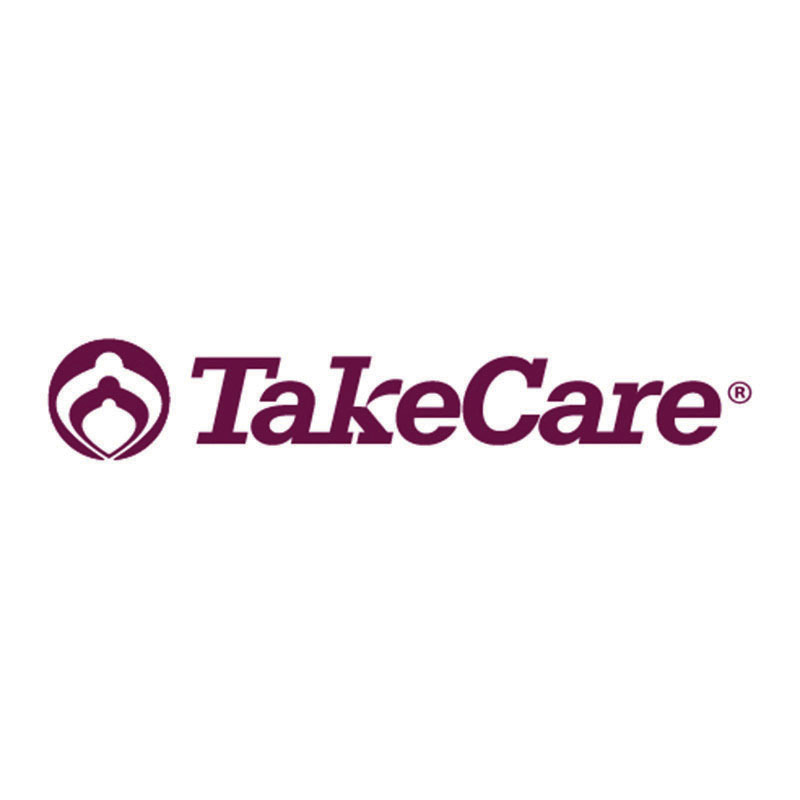 Today, TakeCare offers the largest health network in Micronesia and plans allow members access to more than 120 medical providers, 40 dental providers and 18 pharmacies in the region. With health plan accreditation through the Accreditation Association for Ambulatory Health Care, every aspect of care management is supervised by U.S. trained and certified physicians, nurses and social workers. The company’s growing network of partner medical institutions spans from Guam, Saipan and neighboring regions with resources from the Philippines, Thailand, Singapore, Hawaii and California. The company continues to support the community with more than healthcare, giving back to numerous community organizations including the Make-A-Wish Foundation Guam, Guam Cancer Care, the Foster Families of Guam, the American Cancer Society, the American Red Cross Guam Chapter, the Guam Memorial Hospital Volunteers Association, Guam Community College and the University of Guam Nursing Programs. TakeCare signed the Hafa Adai Pledge on Dec. 1, 2010, joining more than 500 local businesses, organizations and entities in the perpetuation and preservation of the language, culture and traditions of the indigenous people of Guam. The Nanbo Guam management team includes (from left) Brent Butler, general manager; Anne Ignacio, underwriting manager; Nancy Reyes, senior account executive; and Ramonchito Tangonan, senior manager for finance and administration. Photo courtesy of Nanbo Guam Ltd. Established in 1968, Nanbo Guam Ltd. is celebrating 50 years on Guam in multiple business enterprises as a trading company, a retail operator, investor in an industrial laundry business, as well as in real property acquisition and development. 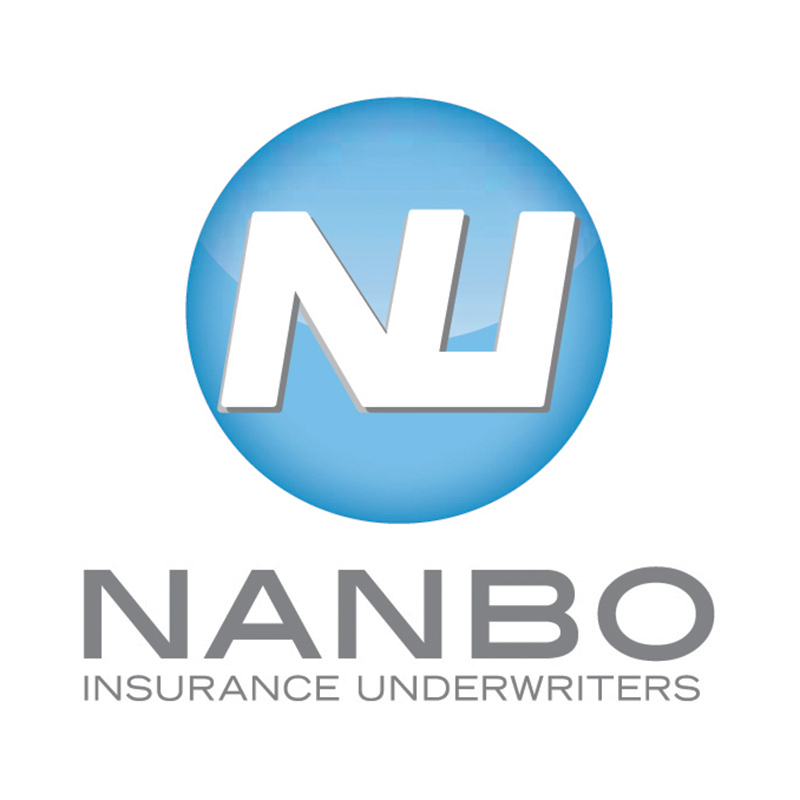 Its core business, Nanbo Insurance Underwriters, was established in 1969, serving as the exclusive general agent for The Tokio Marine and Fire Insurance Co. Ltd. of Tokyo since 1969. Through the years, Nanbo has also represented Nipponkoa Insurance Co. Ltd., QBE Insurance (International) Ltd., St. Paul Travelers and Zurich Financial Services Inc. Nanbo currently serves as the general agent for Tokio Marine Pacific Insurance Ltd., Pacific Guardian Life Insurance Co. and Sompo Japan Nipponkoa Insurance Inc. through Nanbo’s wholly-owned subsidiary, Guahan Insurance Services. “Throughout its 50 years on Guam, Nanbo has established a reputation as a reliable and trustworthy insurance agent that is committed to supporting the community’s insurance needs, delivering exceptional customer service and providing quick claims settlement to covering the cost losses of its customers,” says Brent Butler, general manager of Nanbo Insurance. The company’s humble beginnings began with three employees in a small office with used furniture and cars in 1968 when it started importing and wholesaling food and beverage products. In 1969, Nanbo signed with Tokio Marine and Fire Insurance Co. of Japan to provide insurance services. Other business achievements include the opening of Japan Food Service Center in 1972, the development of warehouses in 1974, life insurance services through its agency with Pacific Guardian Insurance in 1977, Japan Food Super Market in Tumon in 1981, an agency agreement with Nippon Fire and Marine Insurance Co. Ltd. in 1991, a general agency agreement with Zurich America Insurance Co. in 2007, the completion of its headquarter building in Hagåtña in 2012, the formation of its wholly-owned subsidiary, Guahan Insurance Services Inc. and the appointment as correspondent broker for Marsh & McLennan Co. in 2013. In May 2014 Nanbo expanded its personal auto policy to modify no loss discounts, enhanced roadside service from one free tow to two, enhanced theft coverage for personal property and enhanced loss of use coverage to provide replacement vehicles at times of loss and increasing daily limits from $30 to $80. The company now has 23 employees and its profitability over the years resulted in an accumulation of $15 million in total assets and $9 million in retained earnings. 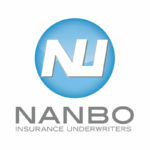 Nanbo also generates income from real estate operations and investments in addition to operating as an insurance agent. Nanbo has made donations to various not-for-profit and community organizations and events throughout the years, including Kamalen Karidat, Boy Scouts of America, the Tarakito Swim Club, the St. Baldrick’s Foundation, the Angel Tree Ministry and the Japan Autumn Festival. The company has also supported relief efforts for natural disasters that have affected the region such as the 2011 Japan earthquake and tsunami and Typhoon Soudelor in Saipan in 2015. Nanbo employees have volunteered to support various community events such as island-wide cleanups and local 5K races. Nanbo’s longstanding commitment to Guam is also evident through its real estate acquisitions and the construction of its headquarters, the Nanbo Guahan 250. “The first day I joined Nanbo my first job was to get financing for the new Nanbo Insurance building. That was a big accomplishment to complete the new headquarters — a 24,000-square-foot building,” Butler says. The company has been housed in its Hagåtña headquarters since December 2012. In the future, there may be more work on the building to become more energy efficient. Guam staff of T.G.I. Friday’s gather outside the Tumon location. It was 20 years ago that Guam residents first had the opportunity to truly make every day feel like a Friday. On Feb. 28, 1998 T.G.I. 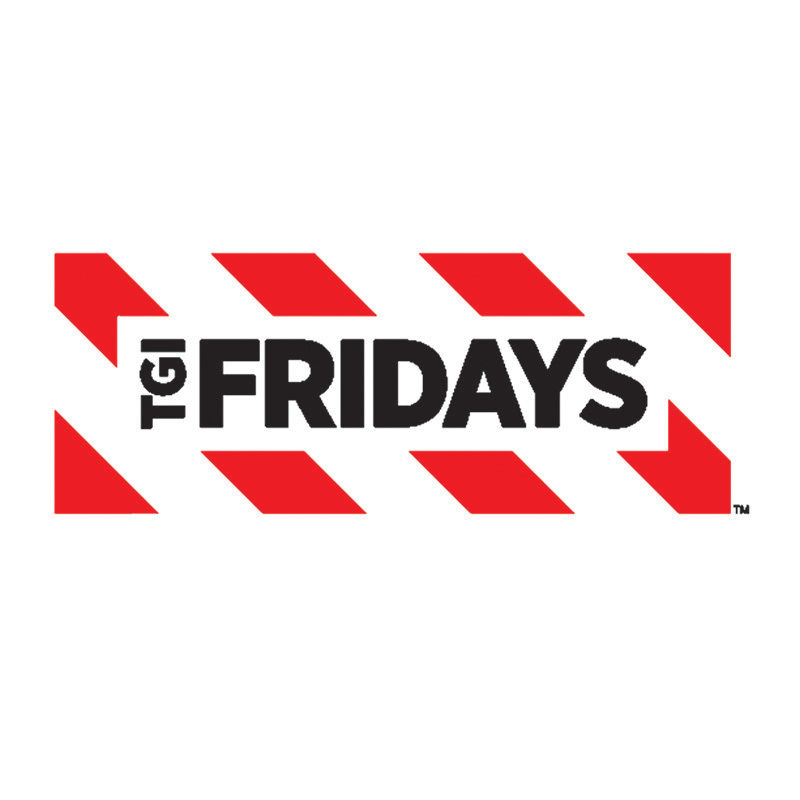 Friday’s was established on Guam, right in the heart of the village of Tumon. Two years later on Nov. 15, 2000, Watami USA Guam — owned by Watami Co. Ltd., which owns 500 Japanese casual dining restaurants across Japan and 150 Watami restaurants internationally — was established as a Guam subsidiary of the Japanese company and promptly purchased the T.G.I. Friday’s on island. There was a total of 55 employees in the first year of the Guam restaurant’s business. “Our goal [at T.G.I. 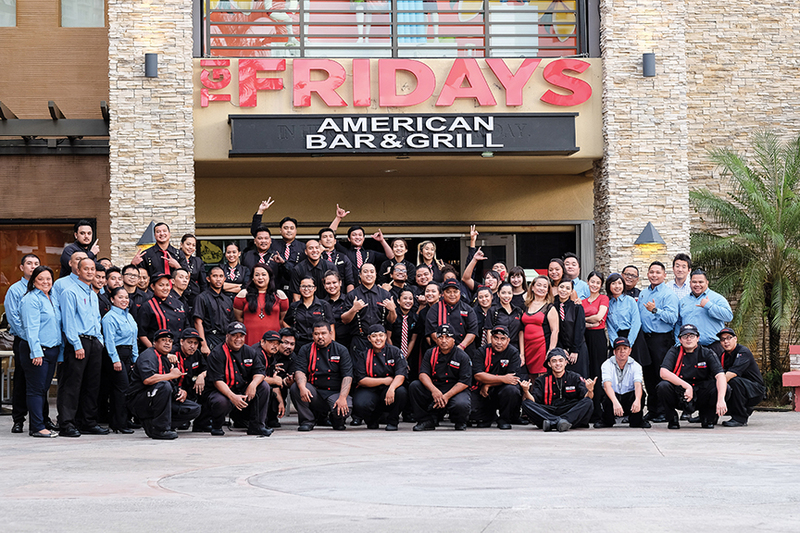 Friday’s Guam] is to become the number one casual dining restaurant in Guam and the Micronesia region,” says Lerma G. Aquino, business director and corporate secretary of the board of directors for Watami USA Guam. Although the Guam restaurant’s background is considered “short” in the Watami group, it is also very diversified, making an ideal company to cater to a variety of guests. In that, Aquino says that the Guam restaurant strives to remember that as the one most important factor — the guest. “At Watami, we are to be the company from the people, for the people. This makes us an integral part of the society of Guam. As such, we do not make the distinction between guests from the island or tourists from off island. At Watami, we treat every guest, colleague, vendor or neighbor with respect disregarding their ethnic background, whether Chamorro, Filipino, Japanese, American, Korean or otherwise,” she says. The company also keeps in mind that its employees and partners are its most valuable asset and strive to keep work interesting and employee development in mind. In its 20th year, the company has grown to 75 employees who all serve as brand ambassadors within the community. “T.G.I. Friday’s believes in the importance of acting responsibly and is focused on positively impacting the economic and environmental well-being of the communities and neighborhoods in which it operates,” Lerma says. Every year the company has a program that supports non-profit organizations such as Catholic Social Services and its branches/affiliates, as well as supporting schools and organizations in providing gifts for events and fundraising. Looking to the future on Guam, the company plans to operationalize a new mission through “one global brand,” founded on a platform of excellence, with a focus on “building better relationships” in everything it does.